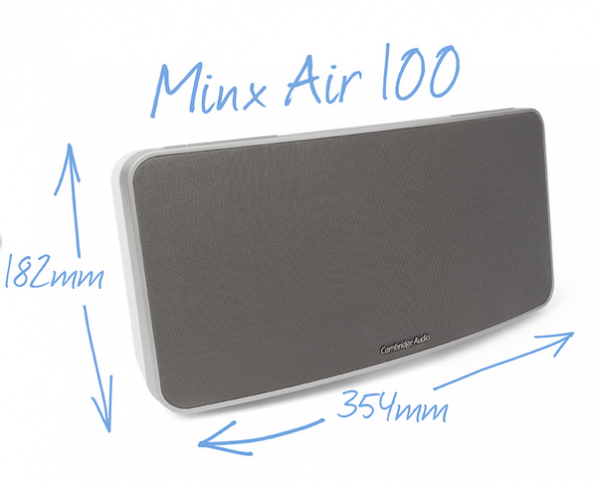 Here at OxGadgets we love a good speaker. We love it even more if it is wireless, and we love it if comes with a list of features. What is more, the basic mission we have always kept close at heart is featuring as much of local British manufacturers as possible. 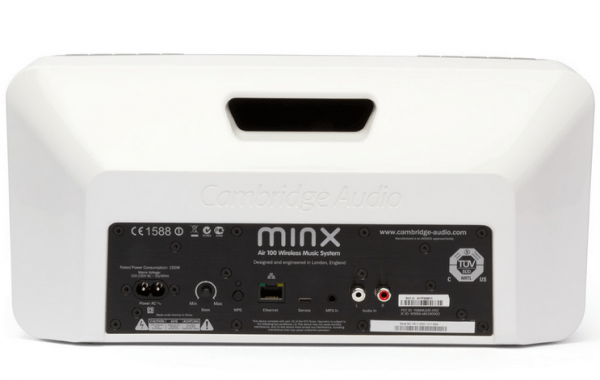 So when Cambridge Audio asked us to review their Minx Air 100, we jumped at the chance. Cambridge Audio is a relatively young company based in London, and they love everything to do with sound and music. Over the years, they have given us many sound systems and speakers, and now they are getting more adventurous by entering the world of apps, and much more. The first thing you notice when you lift up the box is the weight of this speaker. While it isn’t ‘heavy’ in the grand scheme of things, in today’s world of everything being lighter and thinner, this speaker sticks to its roots and gives you a good solid body. The design is beautiful and sophisticated, and it works well in any environment. The speaker comes with clear instructions on how to set the device up. Wireless connection is a breeze, though you have to connect to the device to configure your connection’s password. Once on your Wifi network, it is detectable by your phone, tablet and other devices, as well as any Apple devices. The basic Bluetooth connection is a straight forward process as well, much like all devices. While this provided no challenges, the only thing one could add is the NFC ability to pair, but hey, that is more of a wishlist entry rather than a demand. 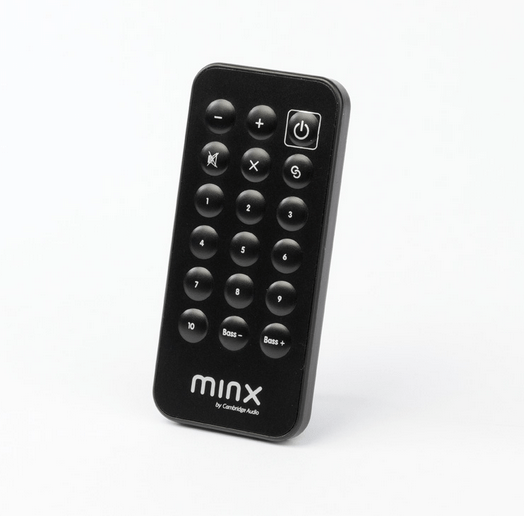 The free Minx Air app helps you change your Internet Radio presets, which the device allows you to access via the buttons on top as well as the remote. It can also be configured to adjust volume, Equalizer options, and other options. It is simple, basic, and it works. The best part is that you can get away without having to use it apart from a few times, which means that the system works, whether you need it or not. It also works, when paired with your device, with the likes of Spotify, iPlayer, Last.FM, etc, much like many other Bluetooth enabled speakers. Much like the app, the remote is simple, and tiny. Probably the only problem I had was that being so tiny, I lost it under the usual pile of papers I always have on my desk. It works, and it is great to have something like this on your bedside or work desk while you control your device. As much as I like apps, I quite like a standalone device as well, and using the buttons on top, this speaker will do exactly what the remote can do for you. 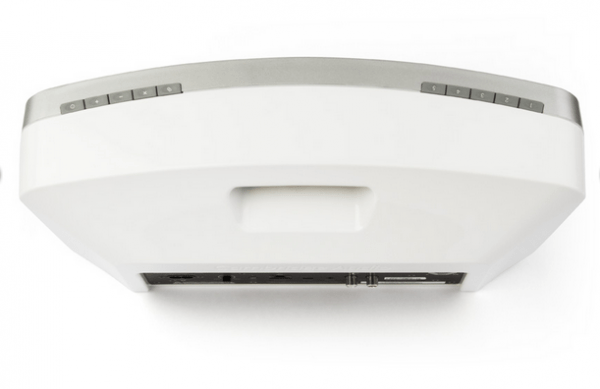 The buttons can be used to adjust volume, select radio presets, and all the other basic functionality. At the back, there is the ability to adjust Bass as well as other ports, hidden well away from the front, keeping the device neat and tidy. Oh yes, leave the best till the last! The sound is quite impressive, as one can imagine from a speaker of this quality. It gets very loud, which is great for large halls or parties, and yet the speakers find a way to avoid distortion when they are so. To test it, a few genres of music were tried, as well as Internet Radio. The station of choice varied from BBC 6 Music (one of the presets) to Planet Rock. I can happily report that it worked well and the sound was clear. Similarly, a few options such as Classical music as well as the likes of Metallica were tried on the speaker via Bluetooth. Once again, the quality was preserved on both ends. The best thing is that much like the speakers of this sort, these provide a good immersive sound experience, which surrounds you and lets you enjoy great sound quality from all angles, wherever you are in the room. Bass is quite impressive, and you can really feel the music, as a good speaker is intended to perform. I love it… where do I get it? So, what do we think of this? A beautiful device, which works well in any environment. The price puts it nicely in the midpoint range for good speakers, and quite frankly, it packs a lot of power for a device this size. I’ll definitely recommend it for what it offers, in the price and size it gives you! Thanks, I will try to hear both this weekend.